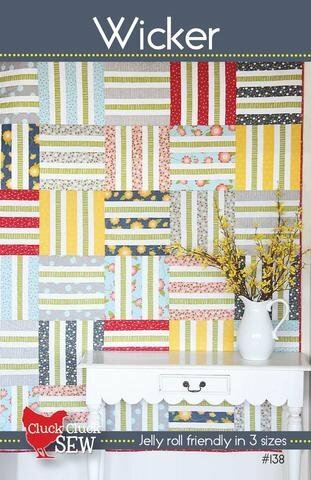 Wicker Quilt pattern, designed by Allison Harris of Cluck Cluck Sew is good for beginners and quick to sew. Includes 3 sizes. Finished Sizes: Throw 60" x 72", Twin 72" x 84", Queen 84"x 96"